Discussion in 'Amps & Cabs Emporium Archive' started by LukeBurke1, Dec 8, 2016. 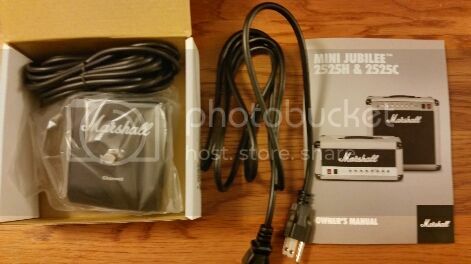 Marshall 2525H Silver Jubilee Mini Head. 20 watts(switchable down to 5 watts), two channels (switchable via foostwitch or push/pull pot), and push/pull diode clipping. 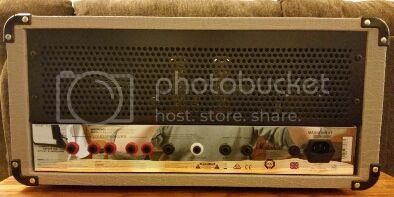 It's a very cool head, but I just bought another amp and I can't afford to keep both. The amp is in excellent condition and includes footswitch and manual. $975 shipped/PPG or add 3.5%. Not interested in ANY trades. 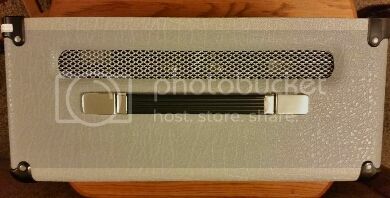 Willing to cut a deal if you can pick up in Pittsburgh, PA.
What are the dimensions of this head? If you change your mind on trades I can do any of these +/- cash. Can't say enough positive things about Luke, who posted this ad. He is one reason why this place is so great.